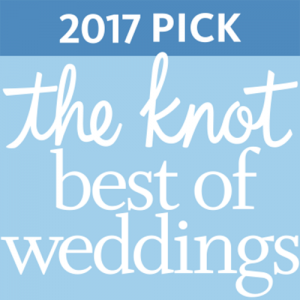 Southern California January 4, 2017—Diamond Beauty Hair and Makeup is pleased to announce that they have been selected as a 2017 winner in The Knot Best of Weddings, an award representing the highest-rated wedding professionals as reviewed by real couples, their families and wedding guests on The Knot, the leading wedding brand and marketplace. This is the 2nd year Diamond Beauty Hair and Makeup has been selected for The Knot Best of Weddings. “If you look good, you feel good!” Diamond Beauty Hair and Makeup. International Hair and Makeup artists that create the perfect look for one of your most memorable days of your life! majority of engaged couples in the US through the #1 wedding website TheKnot.com, its mobile apps, The Knot national and local wedding magazines, and The Knot book series. The Knot has inspired approximately 25 million couples to plan a wedding that’s uniquely them. The Knot is the flagship brand of XO Group Inc. (NYSE: XOXO), which helps people navigate and enjoy life’s biggest moments—from getting married to moving in together and having a baby. Please visit The Knot online at TheKnot.com and follow on social media: Facebook.com/ TheKnot and @TheKnot on Twitter, Pinterest and Instagram.